We built this table based upon a photograph that our client gave us. 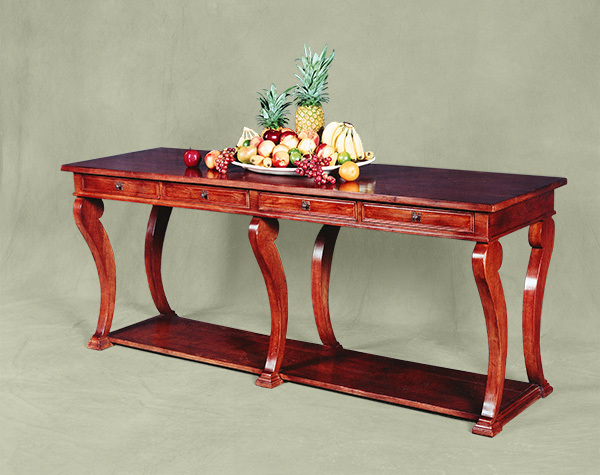 This table is built of solid White Oak with Lyre shaped legs, 4 drawers, and subtle detailing. The finish is distressed, stained, lacquered and finally waxed and hand polished. Soul and Substance inspired by the Italian Renaissance.